Better for the world – Gosh, anything we can do to save the environment makes me HAPPY. 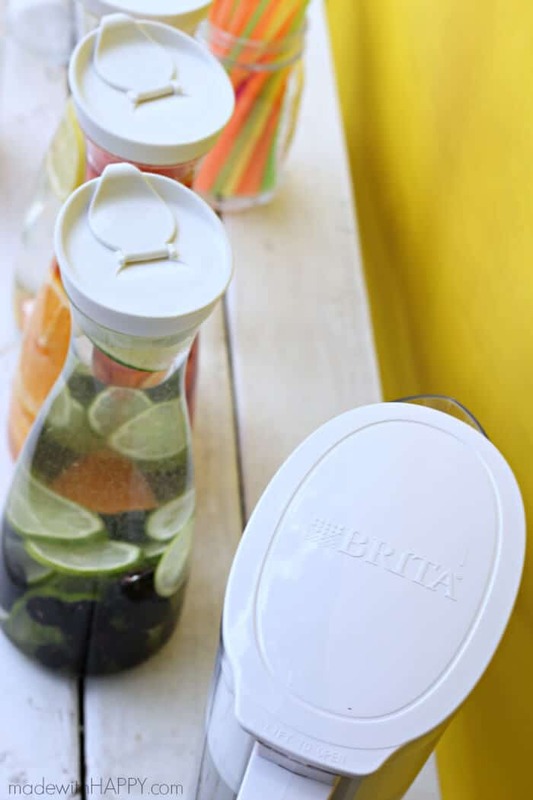 We will save approximately 300 bottles of water using one Brita! WIN! Better value – It is more cost efficient than buying bottle water, and let’s get real… saving money makes me HAPPY. 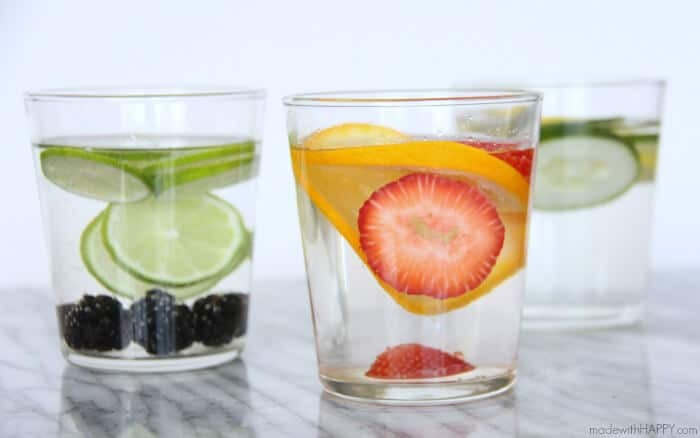 Now, let’s get to the Fruit infusions. 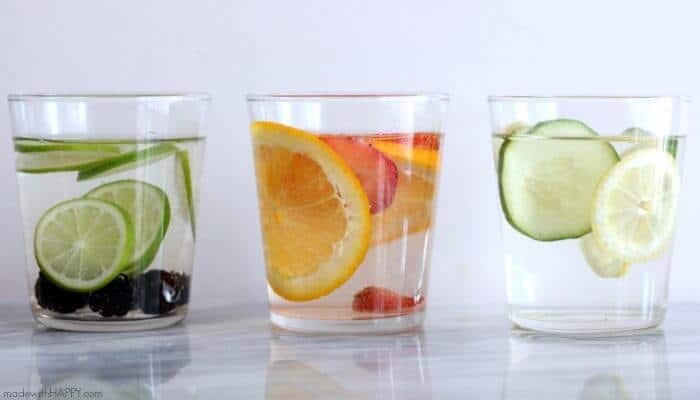 There are lots of different variations for infusions. I went with three of my favorites. 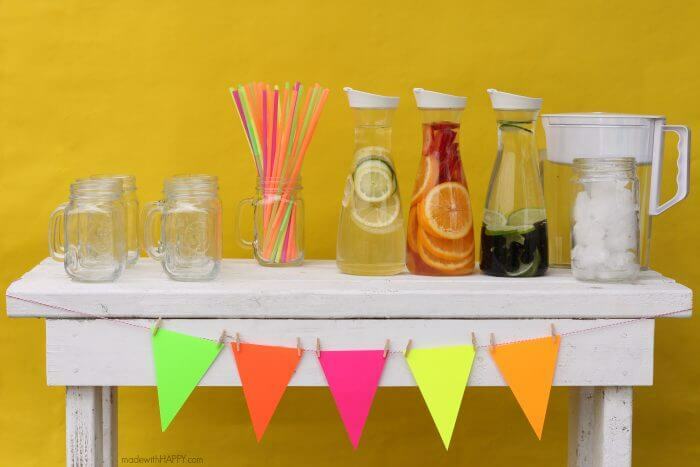 Blackberry Lime, Cucumber Lemon, and Strawberry Orange. 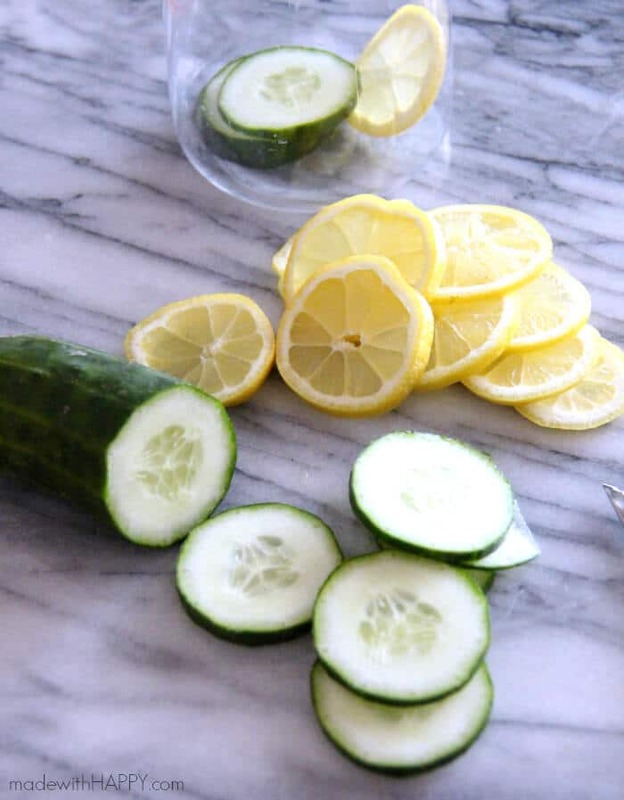 Thinly slice up your cucumber and lemon and add them to the carafe. 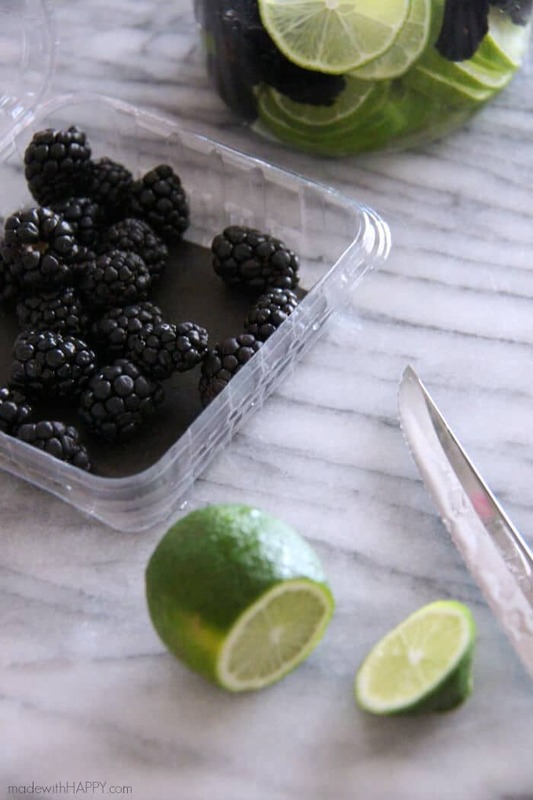 Thinly slice your limes up and add in a pint of blackberries. 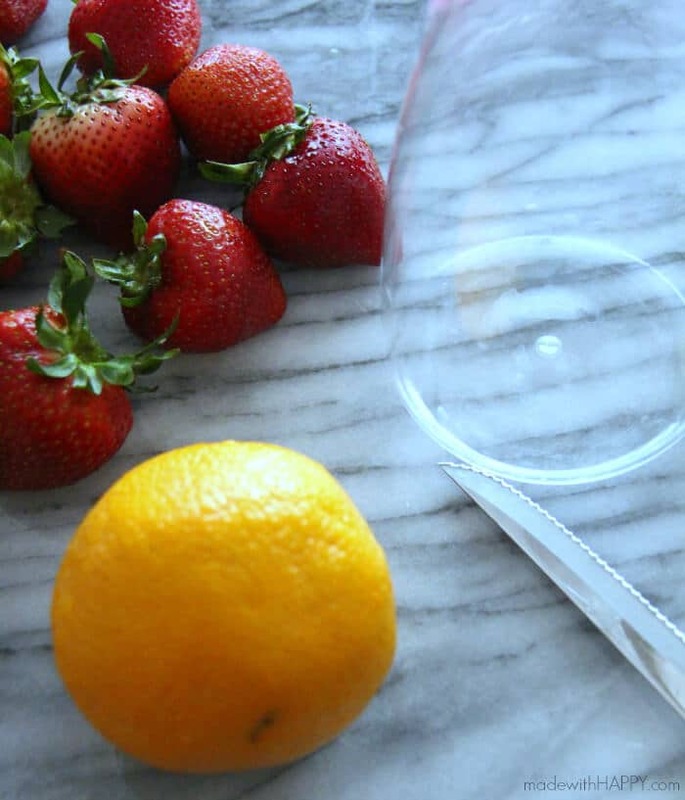 Slice up your orange and your strawberries and add them to a carafe. 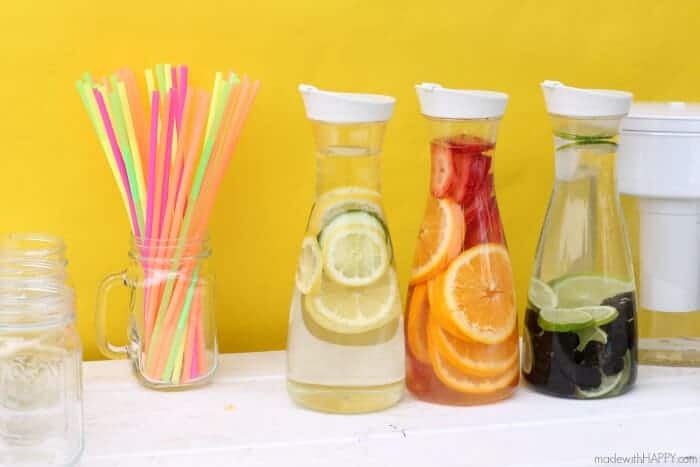 Dress up your station with, glasses, straws, ice and your Brita for those that may not want the infusion. They are totally missing out! Then have yourself a fun and healthy afternoon! Made for a very HAPPY BBQ and overall HAPPY Day! 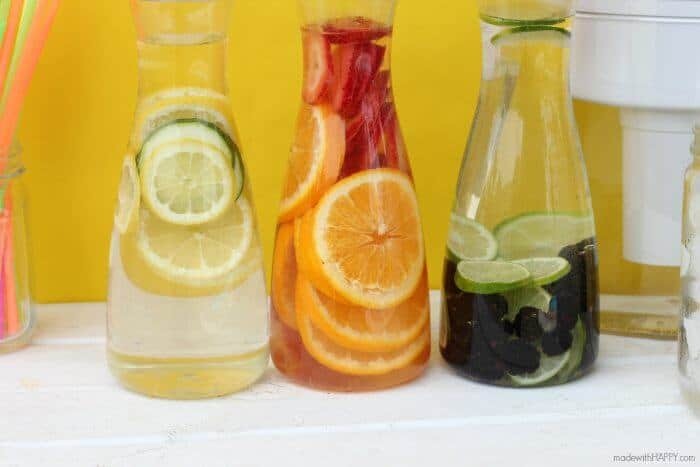 What’s your favorite fruit infused water? 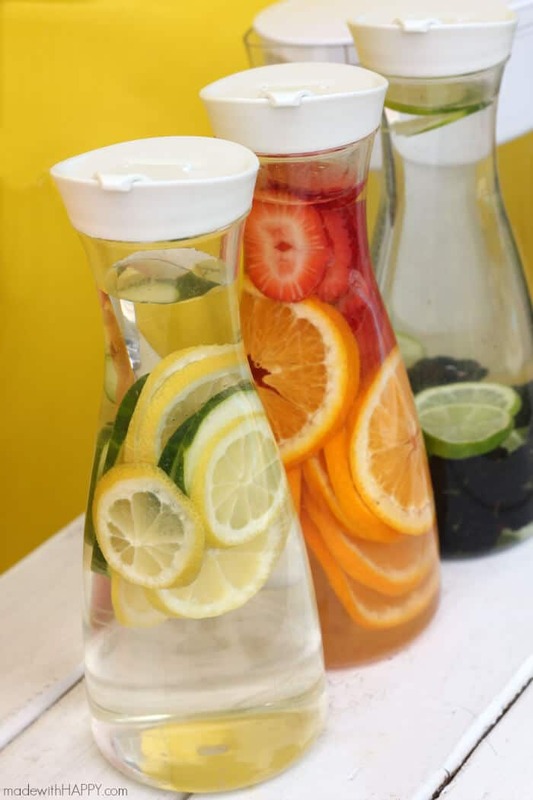 We are giving away one Brita Filter Pitcher to one lucky Made with HAPPY reader. Simply reply to this tweet and be entered. 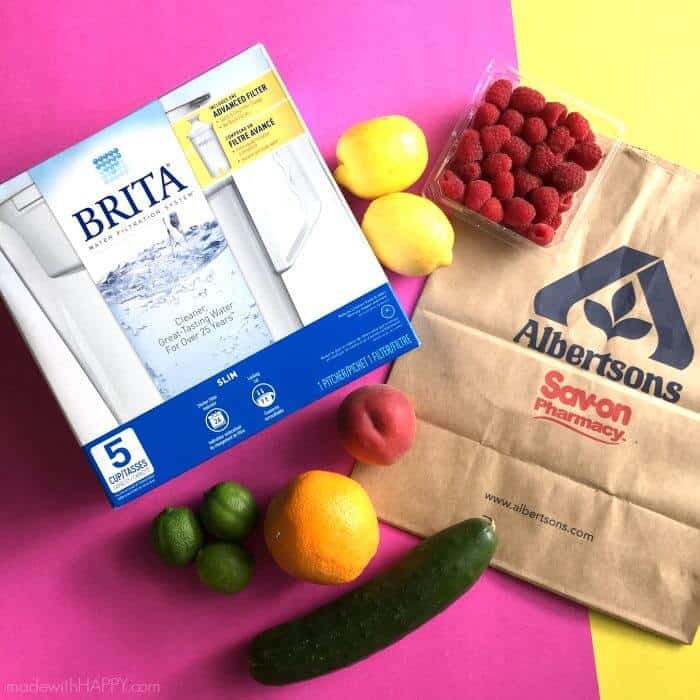 #FuelWithBrita Contest Ends 6/10 at 11:59. I want to win a Brita Filter System.